1. Develop strong communication skills. 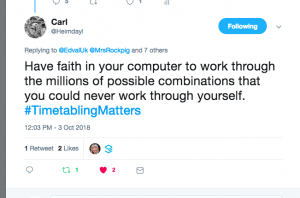 Everyone knows that timetablers are methodical, intelligent people who enjoy a good puzzle. 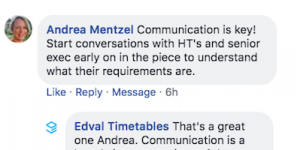 But good timetabling also requires honest conversation, compromise and plenty of teamwork. 2. Approach the timetable with an open, enquiring mind and refuse to fall into patterns of ‘but this is the way we’ve always done it’. The impulse to stick with the status quo can be strong, but this isn’t always the best option. Many told us that the best timetablers ‘think outside the box’. Could Year 12 and 13 be taught simultaneously for practical lessons? 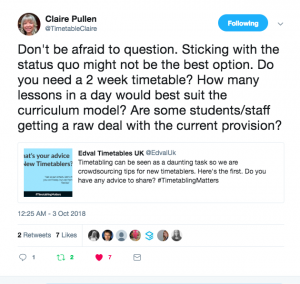 Do all elective subjects or ‘options’ require the same amount of teaching time? 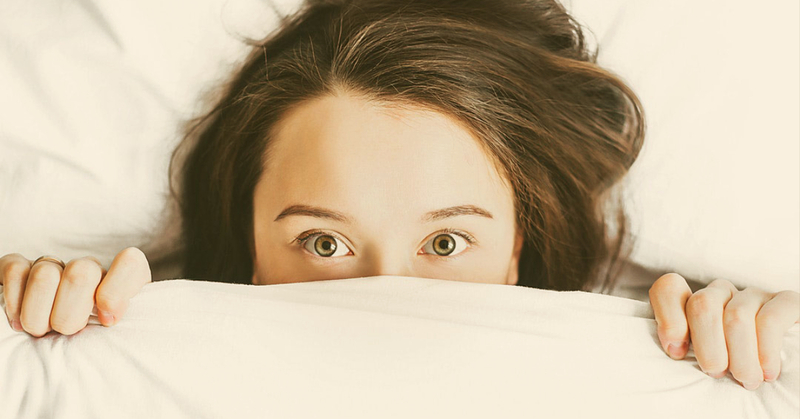 Have part-timers been asked about their flexibility? 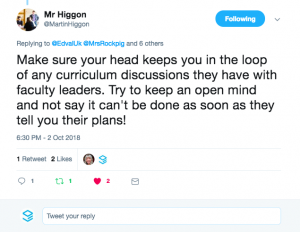 Have department heads been asked if they’d prefer a split class or two lessons on one day? 3. Catch problems early and strive for balance. 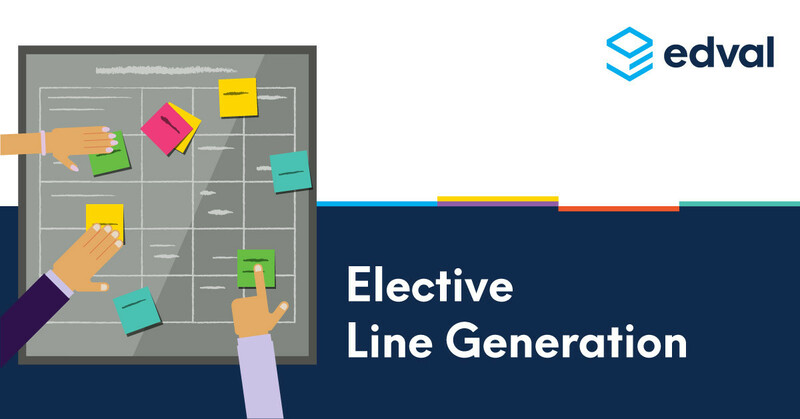 The most effective timetablers are proactive problem solvers who approach their work with a ‘can do’ attitude and refuse to sweep problems under the carpet. Use the best technology and use it effectively. Powerful software allows timetablers to see ‘what-if scenarios’ and model variations on the spot. Using technology, the timetabler can make in-year changes with minimum disruption and accommodate ‘challenging’ requests with ease. Early organisation is key. 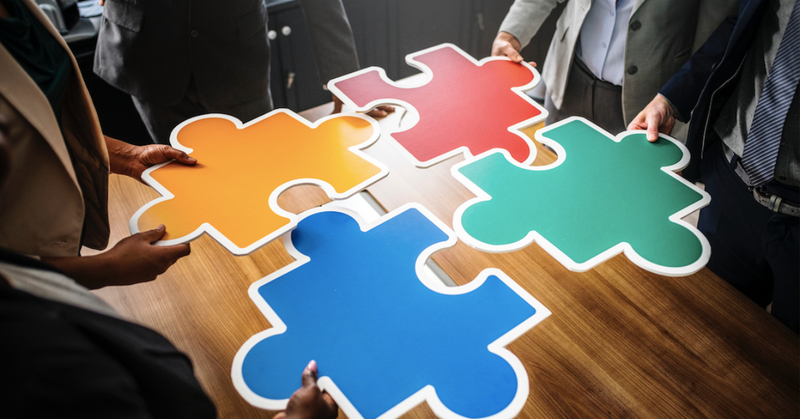 It’s helpful to start by considering the size of the cohort, the resources available at your school and the number of subjects you may be offering. 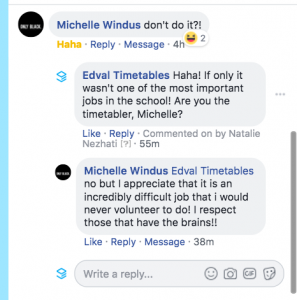 Given our love of the art of timetabling, we simply cannot agree with the last piece of advice from Michelle! 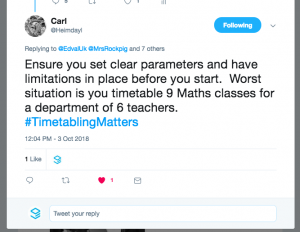 Her comment that followed, however, is an excellent illustration of the great esteem in which the school timetabler/s is held by other staff members! So, keep calm, enjoy the puzzles and remember you’ll soon be basking in the glory of a job well done. 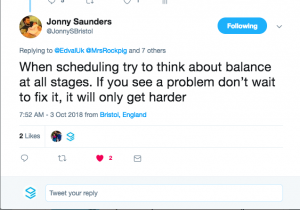 With this advice, we wish you all the best in creating your first timetable and hope you find it as enjoyable and rewarding as we do. If you’d like to find out more about timetabling best practices, why not download a free eBook today.